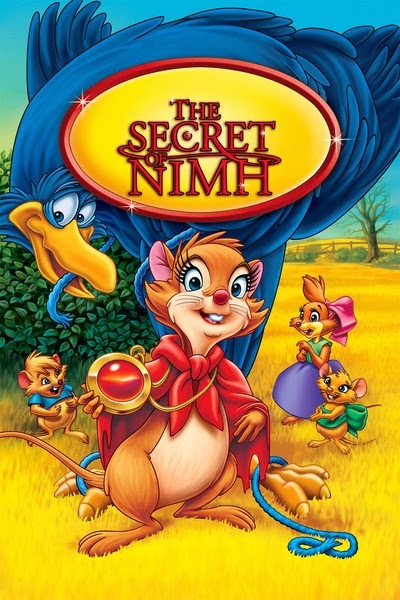 It isn't often that you can say that a film which forced its creator into bankruptcy is a classic, but that is the case with "The Secret of NIMH" (1982). 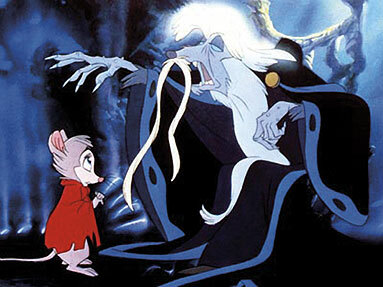 Don Bluth left Disney with 16 other animators in 1979 and struck out on his own, calling his shop Don Bluth Productions. 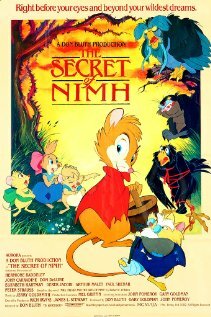 This was their first feature film, an adaptation of an award-winning 1972 book, "Mrs. Frisby and the Rats of NIMH" by Robert C. O'Brien. It is a cult classic, but it did not do well at the box office upon release, so the new studio had to close up shop and try something else. Bluth went on to do other stellar work, such as The Land Before Time, but this measures up with anything else he's done. 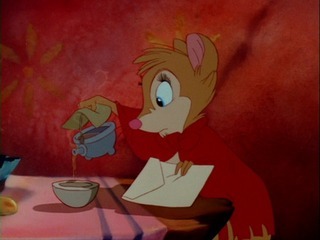 Mrs. Brisby (Elizabeth Hartman) is a retiring field mouse who lives with her family in a cinderblock on the Fitzgibbon farm. The block is in a field that soon will be plowed, so she plans to leave shortly. Her son Timothy falls ill with pneumonia, though, and her late husband's friend Mr. Ages (Arthur Malet) warns that Timothy will need to stay inside for a few weeks to recover. Returning from her visit to Ages, the Fitzgibbon's cat Dragon almost catches her. Farmer Fitzgibbon starts plowing the next day. Together with Auntie Shrew (Hermione Baddeley), she delays that by vandalizing his tractor. 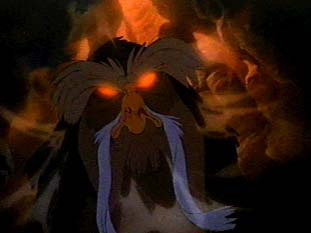 With the help of her friend Jeremy the Crow (Dom DeLuise), she calls on the Great Owl (John Carridine), who advises her to see Nicodemus (Derek Jacobi), a mysterious leader of rats that live beneath a rose bush. Visiting the rats' home, she finds to her astonishment that it has electricity and looks just like a human's house, albeit underground. Nicodemus reveals that the rats on the farm were part of a secret experiment by the National Institute of Mental Health (NIMH) which made them as smart as humans. The rats are about to leave the farm and start their own civilization elsewhere. 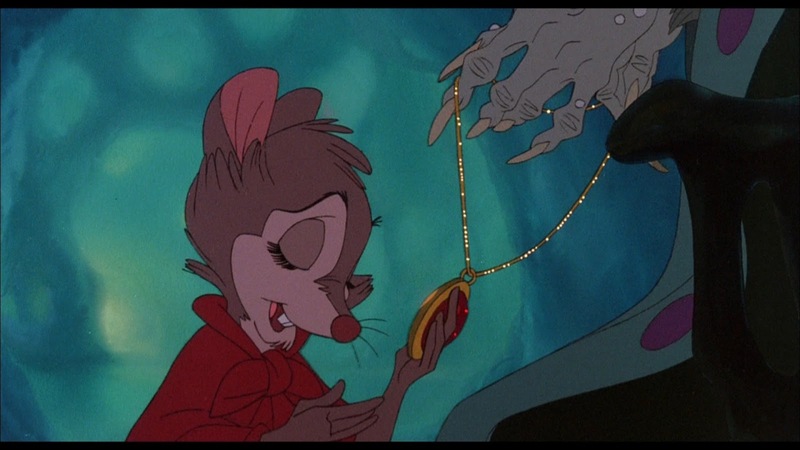 He decides to help her, and gives her a special stone that has magical powers. Nicodemus has a plan to help her, so she goes into the farmhouse and drugs Dragon so he won't interfere. Unfortunately, little Billy Fitzgibbon (Joshua Lawrence) catches her and keeps her as a pet in a birdcage. 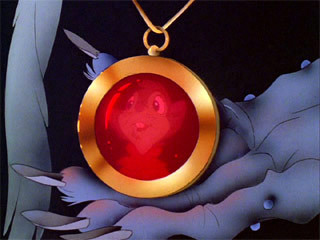 While imprisoned, she overhears a telephone conversation with NIMH and learns that the rats are to be exterminated the next day. She escapes and goes to warn Nicodemus and his Captain of the Guards, Justin (Peter Strauss). The rats, led by Nicodemus, are moving the cinderblock during a thunderstorm. One of the rats, Jenner (Paul Shenar), doesn't want to help Mrs. Brisby and sabotages the move along with his sidekick Sullivan (Aldo Ray). The cinderblock falls and crushes Nicodemus to death. It looks like an accident, and Sullivan blames himself. When Mrs. Brisby arrives and warns the other to leave, Jenner leaps at her and tries to steal the stone that Nicodemus gave her. Justin fights Jenner, who confesses to killing Nicodemus, and stabs him. Now, the rats only need to figure out how to finish moving Mrs. Brisby's home and where they will live from now on themselves. Having left a major studio to work on his own, Bluth's completion of this film at all was an epic achievement. His budget was tiny, and he was only given 30 months to complete it (Disney animation films, with a full staff and access to everything they need, typically take at least twice that long). 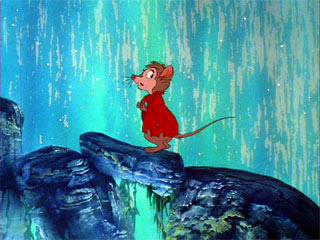 Many new techniques were invented for this production (rotoscoping, multiple color palettes for characters so they would look different in different lighting conditions, etc.). The film went over budget, and Bluth and others had to mortgage their homes to finish. What resulted is a film that has excellent music by Jerry Goldsmith (his first animated feature), sung by Paul H. Williams and Sally Stevens. It includes a tearjerker of a plot and some of the most seamless classical animation done since the golden age of the 1940s and 1950s. Color is used to enhance mood, with backgrounds changing from dark to light as action heats up, and the characters are drawn beautifully. It is not going too far to say that the animation was at least as good as anything done since "Sleeping Beauty." When this came out, people were honestly saying "I didn't realize they made animation films like this anymore." 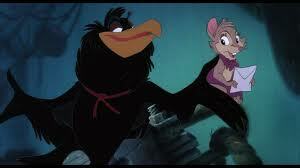 "The Secret of NIMH" is legendary among animators who know their history. It was like a beacon shining in the night when it came out because of Disney's animation problems at the time. It is not a cartoon for children, which of course also has its place, but serious animation that anyone can enjoy. The action is sparse in places, and things get a bit talky now and then, but the story retains our interest. 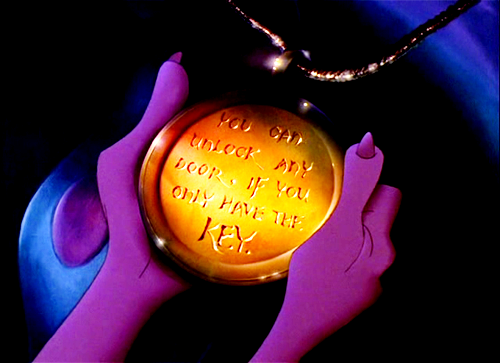 The whole idea of a magical amulet is a bit of a cheat that wasn't in the book, so it isn't perfect. The film, though, has enough good things going for it that it credibly stands next to the best that Disney could do. That's quite an achievement for a bunch of guys working out of Don Bluth's garage. This is the favorite film of a great many people who know an awful lot about animation. 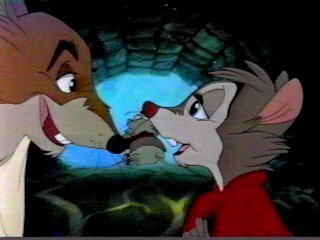 If you take the time to watch it, you may find yourself delighted at the antics of the heroic Mrs. Brisby and the dastardly Jenner. Below is the original trailer.